SpiritBombTriumphant wrote: Can't they just give us a BD release without any color "correction," cropping, or perhaps even grain removal? They apparently can't do any of that without creating a worse product, so why not just leave it as is? If they didn't do anything, it wouldn't be marketable as a new product. What has FUNimation been doing for the past 5 years? 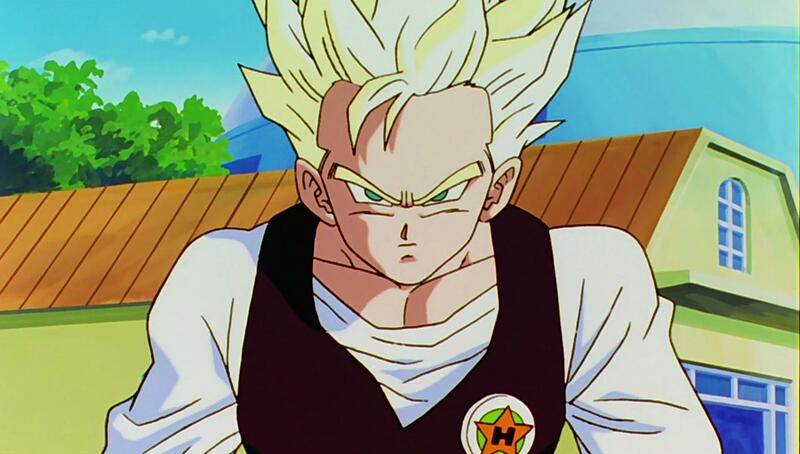 They announced in 2012 that there was work being done on Buu Kai. They have to have had the footage for some time now since it aired in Japan 3 or 4 years ago. Why couldn't they fix the green tint in Kai? They're a professional studio. They have the manpower. People like the guy above do a quick one minute edit, but as others have stated, it's not correct. It just satisfies the dude doing it. *sighs* Why can't we have a perfect product? It's DBZ. It deserves a perfect product. SpiritBombTriumphant wrote: It's in HD. That should be enough to satisfy people. That's all that I want. Dragon Ball Z in 1080p HD. I don't need color "corrections," cropping, grain removal, or anything. Just give me something better than 480p SD. Dragon Ball in HD isn't significantly better than 480p. If you want a largely unaltered product, just get the Dragon Boxes of Funimation Singles. 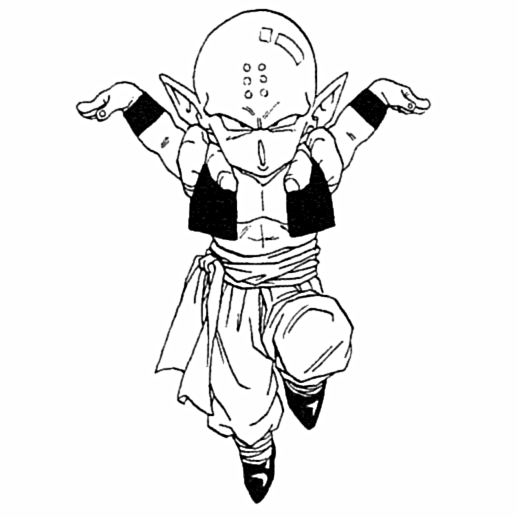 Dragon Ball's animation wasn't made in such a way where an unaltered HD master would even be a notable improvement. HD Dragon Ball is a gimmick. The only way to make an HD release work is to make further changes, such as color corrections (Which can be done well, Kai 1.0 is proof of that). Some light grain removal would also be... not necessary, but certainly desirable, since the grain gets pretty heavy at high resolutions. The irony is that ever since the oranges bricks came along we've begged Funi not to mess the colors for Dragon Ball, yet for nearly every release, they ignored us. Now for the one release that we asked them to color correct, they left it as is. I don't know if it's been brought up yet but until the first set is released in April we really don't know what we're getting right? Is it going to look better than what's being aired on TV? divad86 wrote: I don't know if it's been brought up yet but until the first set is released in April we really don't know what we're getting right? Is it going to look better than what's being aired on TV? It will be exactly the same as what we're seeing on TV. Kai is fundamentally different from the rest of Dragon Ball in that Toei remastered the footage, then distributed them internationally. Normally, Funimation takes footage they get from Toei, then remaster it themselves. So no matter where you go in the world, Kai TFC will look the same, since the work was already done before international distribution. Ajay wrote: I'm afraid I don't have screenshots to hand, but I can talk a little about the differences. i don't understand why japanese sharpening is so criticized. i took your screenshot and japanese one is more sharpen, there is no destruction, halo are already on the left one screenshot but like less sharpen it is blur so less notice. goku83 wrote: i don't understand why japanese sharpening is so criticized. Forgive me if I don't 100% understand what you're trying to say - struggling with the language barrier a bit when reading your message. The image I posted isn't the real Japanese screenshot. The left side is the international version and the right hand side is the same image but with my sharpening applied. I didn't have the Japanese Blu-ray to hand, so I just emulated it, as noted in the original post. The halo isn't there in the original. You're pointing out the natural shadow from the cel against the background. The slight shadow isn't the same as the horribly thick white outline that comes from oversharpening the image. It's absolutely destructive. There isn't any more detail in the sharpened image - it's just artificial junk. It flattens everything and it doesn't look good. SpiritBombTriumphant wrote: After seeing all of these comparison shots, especially with Ajay's explanation at the top of the thread, it leaves me wondering: why do these companies keep dicking around with the image so much? Why bother cropping it? Why bother with color "correction"? As you guys have stated, all they do is mess things up from how they originally were intended to be seen, and they make for a sub-optimal viewing experience. Can't they just give us a BD release without any color "correction," cropping, or perhaps even grain removal? They apparently can't do any of that without creating a worse product, so why not just leave it as is? Because as Jinzoningen MULE stated- It can't really be considered a new product without the "corrections". I won't lie and say Funi's a good mastering house (even outside the DB franchise, they still screw up on simple things like blacks being more crushed than in the original masters, especially during darker scenes). But in this case, the blame can mostly be laid down to Toei's own incompetence (and Q-Tec, to a lesser extent). From the looks of it, it's still the base print Funi's either using or basing it off of. And while the cropping may be different between them, the overall look to them (the odd color correction) is still a major flaw that likely will never be properly addressed. And part of me wonders if that's not just due in part of whatever master reels the three companies were basing Kai off of to begin with. One Piece is also available in 1080p on Crunchyroll. Blue wrote: I love how Season 2 is so off color even the box managed to be so. Now that Funimation has finally released DBZ Kai the final chapters, does anybody have anymore comparison pictures with seasons 7,8 and 9 of the DBZ Blu Rays? JEFFMAN219 wrote: Now that Funimation has finally released DBZ Kai the final chapters, does anybody have anymore comparison pictures with seasons 7,8 and 9 of the DBZ Blu Rays? People could throw some together, but it would honestly be pointless. We already know the advantages and disadvantages of both. Funimation's has better colors, Boo Kai wins in every other aspect. Other than that, there's just the basic differences between Z and Kai. is the japanese bluray episode count the same as the Japanese broadcast version? eledoremassis02 wrote: is the japanese bluray episode count the same as the Japanese broadcast version? When you guys say "international" do you mean just anything that's not the Japanese release or do you mean anything not from Japan AND Funimation's American release? Would I have to buy a non-American/Japanese version to get the best colors? I own Funimation Kai Final Chapters, bought in America. Dagon wrote: When you guys say "international" do you mean just anything that's not the Japanese release or do you mean anything not from Japan AND Funimation's American release? Would I have to buy a non-American/Japanese version to get the best colors? I own Funimation Kai Final Chapters, bought in America. When referring to Kai TFC, there are 2 different cuts; Japanese & international. 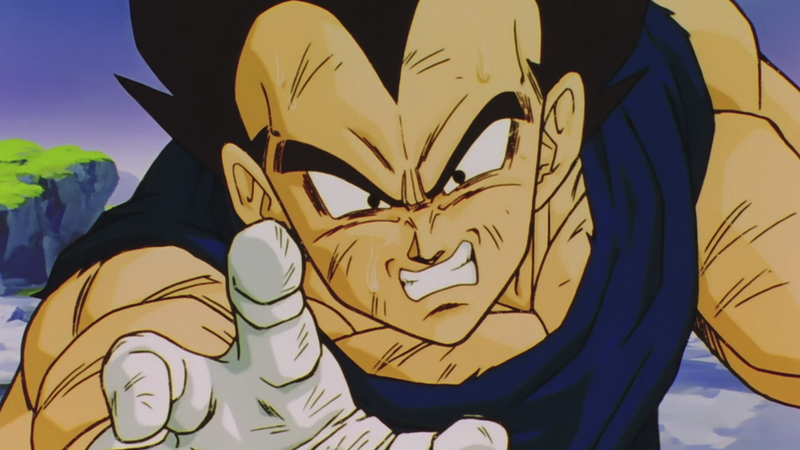 The international cut is the original version of this version of Z, as it was being produced by Toei for the explicit purpose of dubbing, airing, & home media releases overseas, with their own voice cast rerecording the dialogue as they'd done before, since they both didn't have the original masters for the dialogue & to make the continuity of the recordings better. It also allowed for some better performances (I've read that Ryusei Nakao apparently gave a more heart-wrenching performance for Frieza in some scenes than he did in Kai). Kai: TFC was never supposed to air in Japan originally, since Kai didn't do too well over there in terms of toy sales or, apparently, fan reception. However, the series did very well overseas, mainly in America, where we received a better dub than Z got that, while it's got its detractors, is a very different & better dub than Z's was. Although, France also got a better dub same as us & I think Brazil did too, since the French dub of Z was really bad & the Portuguese dub was more of a gag dub on their parts. 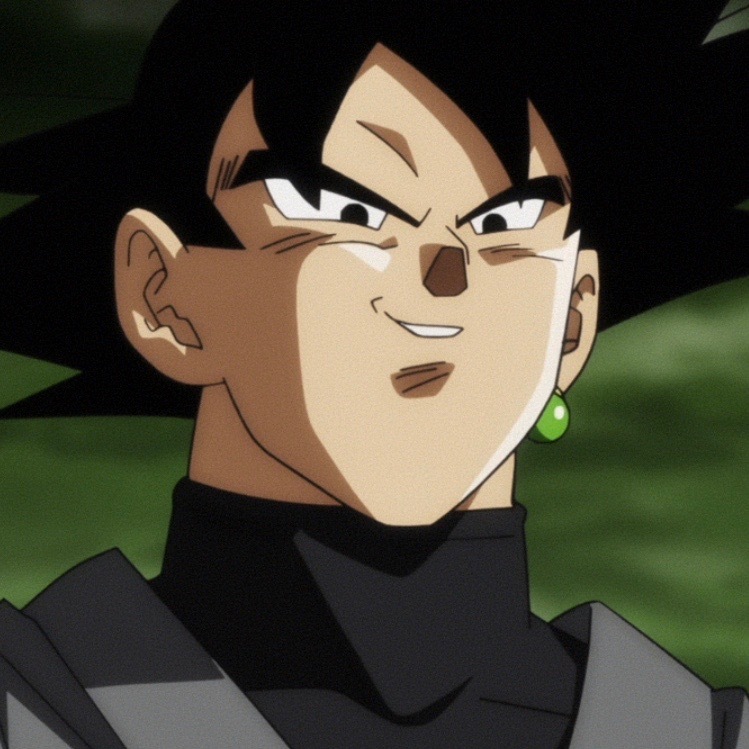 However, after Toriko got cancelled abruptly, Toei didn't wanna lose the timeslot to another company, so they cut down Kai further than what they had already (mainly just cutting out left in filler scenes from the first 10-15 episodes or so & speeding up others into their new versions of them, as well as getting a whole new assortment of ending songs & a different opening song set to an altered version of the opening sequence they'd made already). As for the masters, no. Unless someone's gonna run a fan project to alter the colors, which all there is is an annoying green tint, there's virtually no differences between Japan's masters & the international masters. They're the exact same across the board. I only wish that Toei allowed Q-Tec to finish the series, since they, while having some coloring errors, remastered the series really well & recut the series to be a TON better than Z was, as wella s producing 4:3 masters rather than leaving the series cropped, while Toei didn't even bother creating 4:3 masters of the recut & left in some filler scenes that didn't make sense to leave in. I'm looking at you, Hell scenes. Thank you for the clarification. Currently TOEI is re-remastering the original Dragon Ball/Z movies and they are the best they have ever looked on any release. They have quality on par or better than the "Level" sets from Funimation. Fingers crossed they do that for ALL of the original DB/Z and hell I'd even buy GT if it got the same treatment. Then I'd personally rip those blu rays and make a shot-for-shot recreation of DBZ Kai and Final Chapters with the supreme remastered footage, end all be all version of DBZ Kai. Scsigs wrote: As for the masters, no. Unless someone's gonna run a fan project to alter the colors, which all there is is an annoying green tint, there's virtually no differences between Japan's masters & the international masters. If you know where to look, this actually exists. In addition to removing the green tint, the color correction also brings out much more detail in dark areas.